Another wonderful person in the world of dizzy has become known to our support group, Lara Bishop, located in Surry, and has stacks of great advice and information available on her amazingly good blog site and Facebook group – dedicated to supporting anyone with a balance disorder. Please take a look at her site https://mummyseeingdouble.com/ where amongst a mountain of useful advice and shared experiences, Lara has some great content on Mindfulness, Pilates and Clean Eating and how it may be able to help you. In our journey for a life more balanced, we meet the most interesting and wonderful people such as Rupal. Working together with Rupal we hope to reach more people that will benefit from contact with our support group. See Rupals story below and links to her relevant content. Rupal is also a Life On The Level “Balance Buddy” – helping our members with her own experiences, tips and support. Rupal is an experienced Broadcast Journalist who has worked for the BBC for 29 years. She has produced and presented various programmes at BBC Leicester, BBC Asian Network and East Midlands Today. Born in Uganda and arrived in the UK when she was only two, Rupal’s documented journey back to her country of birth won Rupal an a Race in the Media award in 2005. She has continued to present various programmes on BBC Radio Leicester and met and interviewed many celebrities in her time. For the first time ever, one web page shows the complete variety of balance disorder symptoms and likely causes. Created by Leicestershire own Prof Peter Rea and Prof Andrew Hugill and published only now in 2018. 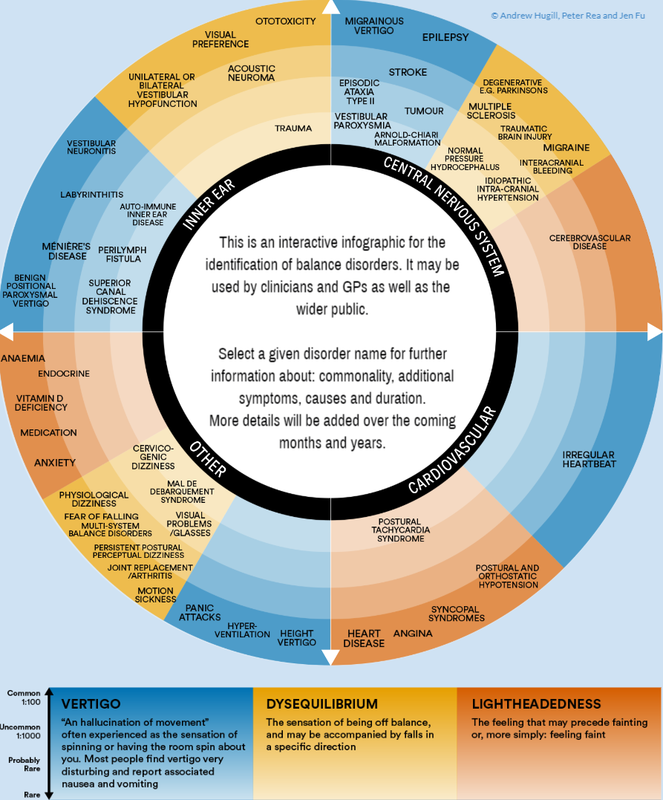 A true breakthrough in understanding the complexity of balance disorders and where any one person’s symptoms may fit. An invaluable aid to anyone struggling with balance disorders before a medical diagnosis. Please pass this on to anyone who may benefit from seeing this.